Ragnar Lodbrok was a legendary Danish and Swedish Viking hero and ruler, known from Viking Age Old Norse poetry and sagas. 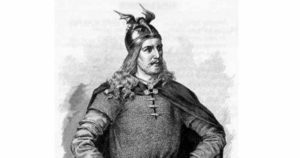 According to that traditional literature, Ragnar distinguished himself by many raids against Francia and Anglo-Saxon England during the 9th century. Take a look below for 25 more bizarre and interesting facts about Ragnar Lodbrok. 1. There is a debate as to whether he actually existed under this name and over the mythology associated with him. 2. According to the Tale of Ragnar Lodbrok, Ragnar was the son of the Swedish king Sigurd Hring. 3. The Hervarar saga tells that when Valdar died, his son Randver became the king of Sweden, while Harald Wartooth became the king of Denmark. 4. 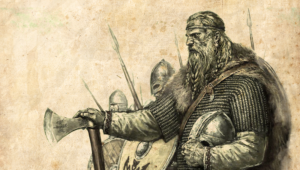 Harald Wartooth’s son Eysteinn Beli ruled Sweden as Ragnar’s viceroy until he was killed by the sons of Ragnar. 5. The Tale of Ragnar’s Sons tells that the Great Heathen Army that invaded England in 865 was led by the sons of Ragnar Lothbrok, to wreak revenge against King Aella of Northumbria who had supposedly captured and executed Ragnar. 6. The Siege of Paris and the Sack of Paris of 845 was the culmination of a Viking invasion of the kingdom of the West Franks. The Viking forces were led by a Norse chieftain named “Reginherus” or “Ragnar”. 7. Ragnar had often been tentatively identified with the legendary saga figure Ragnar Lodbrok, but the accuracy of this remains a disputed issue among historians. 8. 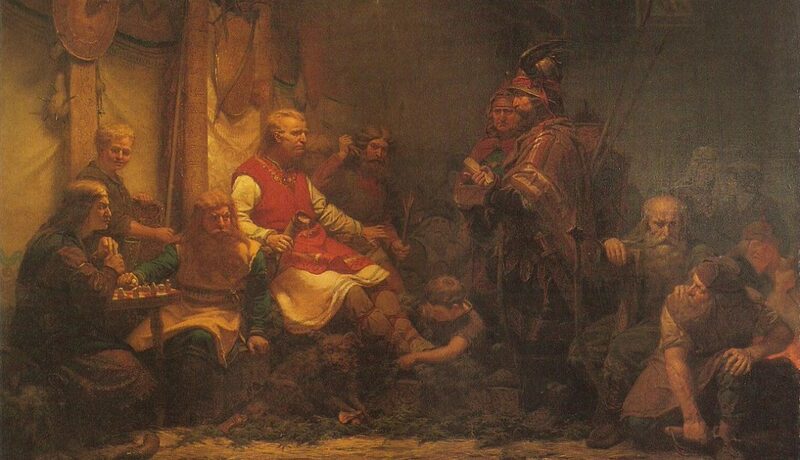 Around 841, Ragnar had been awarded land in Turholt, Frisia, by Charles the Bald, but he eventually lost the land as well as the favor of the King. 9. Ragnar’s Vikings raided Rouen on their way up the Seine in 845, and in response to the invasion, determined not to let the royal Abbey of Saint-Denis be destroyed. 10. Ragnar attacked and defeated one of the divisions of the smaller Frankish army, took 111 of their men as prisoners and hanged them on an island on the Seine. 11. 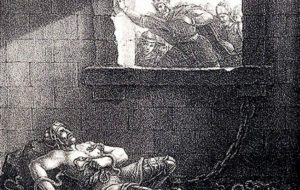 The hanging was done to honor the Norse god Odin, as well as to incite terror in the remaining Frankish forces. 12. The Great Heathen Army is said to have been led by the sons of Ragnar Lodbrok, to wreak revenge against King Aella of Northumbria who had supposedly executed Ragnar in 865 by casting him into a pit full of snakes. 13. The Great Heathen Army was organized and led by the brothers Ivar the Boneless, Bjorn Ironside, Hvitserk and Sigurd Snake-in-the-Eye. 14. 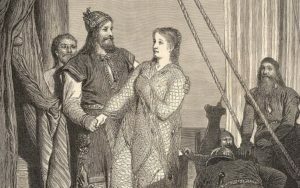 Ragnar was married three times, to the shieldmaiden Lagertha, the noblewoman Thora Borgarhjotr and Aslaug, a Norse queen. 15. He is the father of historical Viking figures including Ivar the Boneless, Bjorn Ironside, Halfdan Ragnarsson, Hvitserk, Sigurd Snake-in-the-Eye and Ubba. 16. He was captured by King Aella of Northumbria and died after Aella had him thrown into a pit of snakes. 17. Ragnar was avenged by the Great Heathen Army that invaded and occupied Northumbria and adjoining Anglo-Saxon kingdoms. 18. In her commentary on Saxo’s Gesta Danorum, Davidson notes that Saxo’s coverage of Ragnar’s legend in Book IX of the Gesta appears to be an attempt to consolidate many of the confusing and contradictory events and stories known to the chronicler into the reign of one king, Ragnar. 21. “Ragnar le Viking” is a 1955 comic book feature written by Jean Ollivier with art by Eduardo Teixeira Coelho, that ran in the French Vaillant magazine up to 1969. 22. 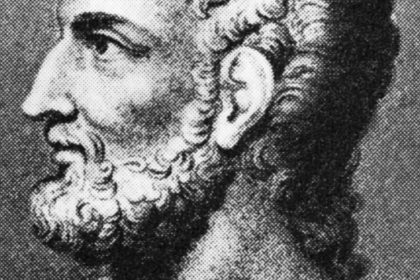 Richard Parker’s 1957 historical novel “The Sword of Ganelon” explores the character of Ragnar, his sons, and Viking raiding culture. 23. The 1958 movie “The Vikings” based on Marshall’s novel shows Ragnar, played by Ernest Borgnine, being captured by King Aella and cast into a pit of wolves. 24. Harry Harrison’s 1993 alternative history novel “The Hammer and the Cross” depict Ragnar being shipwrecked, captured and executed, as well as his sons’ revenge. 25. Bernard Cornwell’s novel “The Last Kingdom” and the BBC America’s series of the same name opens with the invasion of the Great Heathen Army to avenge Ragnar’s death.